Plenty of big names are expected to attend the event, including Team PokerStars Pros Celina Lin, Bertrand ‘ElkY’ Grospellier, Chris Moneymaker, Andre Akkari and Felipe ‘Mojave’ Ramos. “Personally, I really love Macau, it has a very unique vibe, and is a wonderful mix of culture and style, from some lavishly luxurious settings in the most well known hotels, to some of the most traditional Portuguese or Chinese places,” said Team PokerStars Pro Bertrand ‘ElkY’ Grospellier. 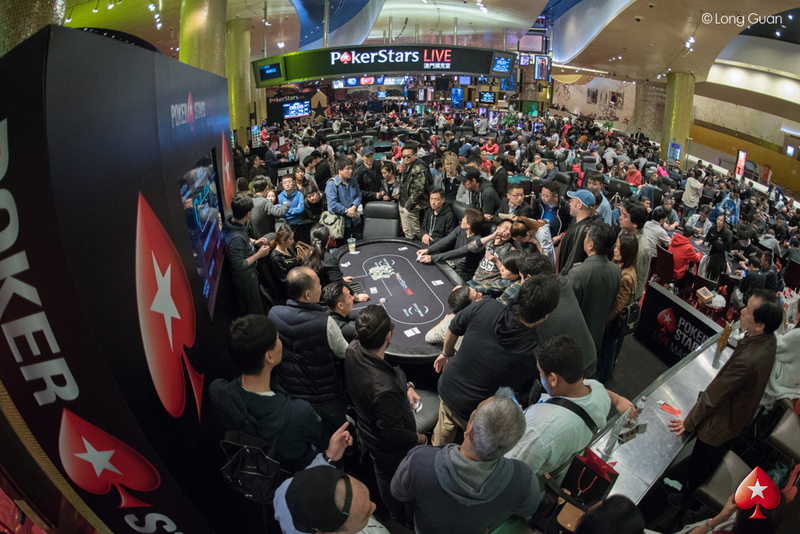 PokerStars Championship Macau’s 52-event schedule will also feature a host of fun, dynamic formats and variants including NL Hold’em Win the Button and Flipout Tournaments, as well as the PokerStars Cup, PokerStars Championship Main Event and PokerStars Open tournaments. For further information on all things PokerStars and Macau please see the PokerStars Blog and the full schedule here. Whilst poker will take centre stage during PokerStars Championship Macau, there will be no shortage of entertainment throughout with the unmissable Player Party, co-sponsored by Red Bull, at the famous Pacha Macau on April 5; discounts to the signature shows at City of Dreams Macau and Studio City; a Foosball and Beerpong night; day tours of Macau's local attractions and historical buildings; and more. Further information on StarsFun activities taking place during the event can be found here. After PokerStars Championship Macau, PokerStars returns to Monte Carlo for its first Championship along the iconic French Riviera. The schedule will feature a wide variety of re-entry events, High Rollers, lower buy-in tournaments, including progressive Super Knockout formats, additional deep stack events, and increased registration times. On April 2, there will be a 25-package guaranteed satellite to the Main Event and a 10-package guaranteed satellite to the National Championship online at PokerStars. Players also have the opportunity to turn €10 into a PokerStars Championship Monte Carlo package worth more than €8,500 by playing fast-paced, special edition Spin & Go tournaments on PokerStars until April 10.